The countdown to summer baseball has begun! If you love the game and are interested in being part of the action then this is the role for you! 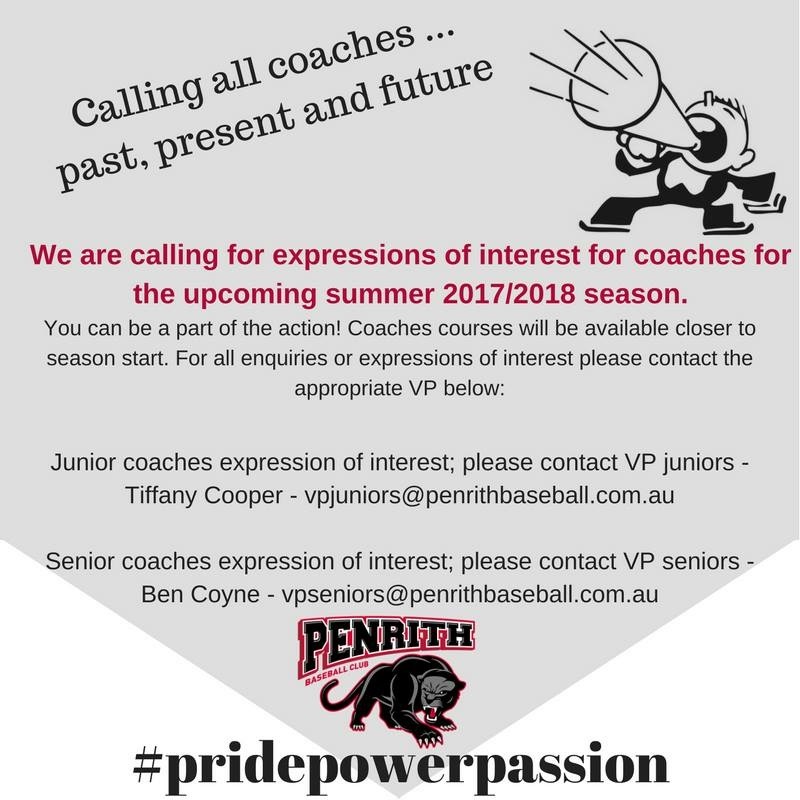 We are seeking expression of interest for coaches across all age groups. Please direct your enquiries to the appropriate VP as detailed in the flyer. Know someone you’d like to work with? bring them along for the ride! No Replies to "Junior & Senior summer coaches"